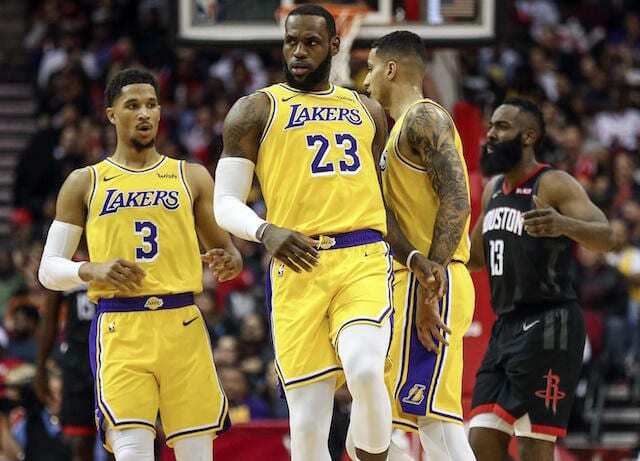 With the Los Angeles Lakers all but mathematically eliminated from the NBA Playoffs, there’s been a lack of consistent effort even as the team got healthy prior to and after the All-Star break. Now the Lakers are dealing with another rash of injuries, as Lonzo Ball remains out because of a sprained ankle/bone bruise, Brandon Ingram was shut down for the remainder of the season, Tyson Chandler is bothered by a neck issue and Lance Stephenson is suffering from a sprained toe. Kyle Kuzma returned from a sprained right ankle that caused him to miss two games, and after a bit of a slow start finished with 21 points in a comeback win against the Chicago Bulls.